From Hemmings Blog: The buzz is all the more intense when the car offered is one that is familiar not simply for its pedigree, but also for having been “lost” to time, sparking speculation over its whereabouts that can churn for decades. Such was the case with this 1970 Porsche 911S, which countless enthusiasts have witnessed rolling across the silver screen in the opening scenes of Steve McQueen’s cult classic, Le Mans. The impression this car made on audiences has endured, but for most of the time since the film’s release, the Porsche has been M.I.A. Now, after resurfacing in recent years, the 911 that McQueen drove as fictional racing driver Michael Delaney will cross the block at RM’s sale in Monterey this summer (August 18-20). 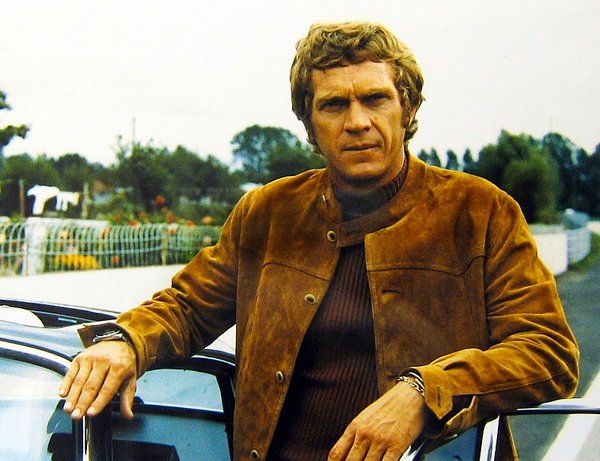 Steve McQueen’s Le Mans – Trailer: Just Waiting from Marco C. on Vimeo. From RM Auctions: Porsche’s Slate Gray was a particular favorite, as he owned several Porsches in this color. The car we have the pleasure of offering here, which figures so prominently in Le Mans, was similar to a 911S McQueen already had at home, which was the same model and color but just one year older. 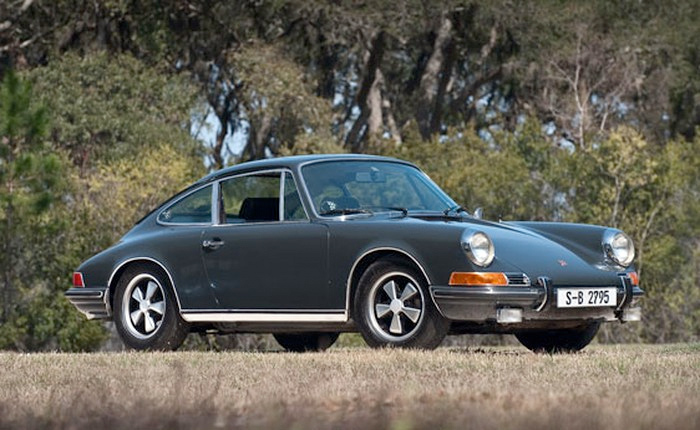 It was likely easier, however, to acquire another car in Europe than ship his own 1969 911S twice across the Atlantic. It is also quite plausible that Porsche, which was involved in the production of Le Mans, wanted him to showcase its latest model. The car seen in the memorable opening sequences, and in several other scenes, was invoiced to Solar Productions on June 1, 1970. It was a more heavily optioned car than McQueen’s own ’69 model, including rare factory-installed air-conditioning, muffler apron, tinted glass, a Blaupunkt Frankfurt radio, the Comfort Group (which includes leather upholstery and other interior upgrades) and front fog lamps with the then-required-in-France yellow lenses. The total cost of this machine, which was the top of the 911 street machine range in 1970 with a significant horsepower increase over the base model, cost just over 30,000 DM, or $8,338.61 to be exact, a princely sum at the time.